Tax is generally viewed by many as a necessary evil. However no society can achieve equitable progress without a fair and efficient tax system. I am happy to see all of you today for this book release function and it can be rightly gauged that the subject ‘economic sociology of taxation’ is an interesting area to many. On going through the manuscript of this book, I found that Mr Mathew has focused on the subject of tax compliance and tax evasion with an economic-sociological perspective. Indian Constitution has rightly given a great a great deal of latitude to the Parliament in the matter of classification of objects and purposes of taxation. The court adopts a constructive and tolerant attitude towards the tax laws. The courts assert that in view of the intrinsic complexity of fiscal adjustments of diverse elements, a legislature ought to be permitted a larger discretion and latitude in the matter of classification for taxing purposes. Court interferes only when there is unreasonableness in the rules or its implementation. 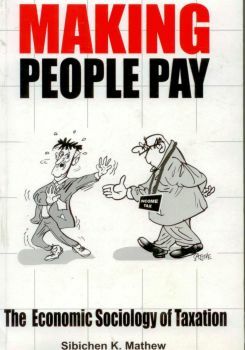 The political context of taxation has been analyzed with a global perspective by Mr. Mathew in this book. Article 38(1) of the constitution of India directs the state to strive ‘to promote the welfare of the people by securing and protecting as effectively as it may a social order in which justice, social, economic and political, shall inform all the institutions of the national life’. Article 39(c) of the constitution contemplates measures for preventing concentration of wealth and means of production in a few private hands. Taxation is one of the mechanisms to achieve this. 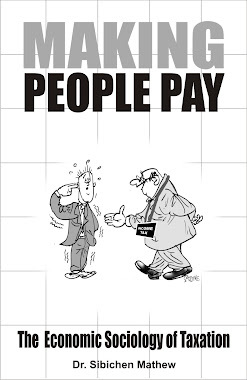 As it is argued in this book as well, taxation is becoming more and more complex as the economy gets complex with the rapid rise in business opportunities. The challenge before the tax administrators is to make it as simple and transparent as possible for the tax payers because complexity should not be a reason for tax non-compliance. India cannot have an untaxed parallel economy in the globalized world. 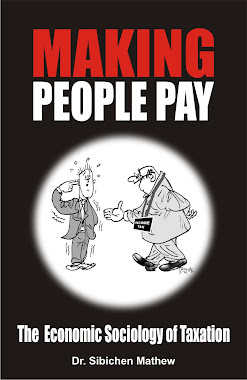 The book 'Making People Pay' gives insights to the issues of tax evasion and tax enforcement. I hope this book will help in giving a clear understanding of the subject to the readers.